with it. Google Adsense is very impressive work done by Google to bring the webmaster and advertiser together before Adsense exist it was hard time for the webmaster to have a decent income from what they do; now everything is fine and everyone seems cool with this sort of service provided by Google. Most of the webmasters are still using Google Adsense and it is true that some of them are having good time with it and earning decent money whereas some are still struggling to have some decent income from it. 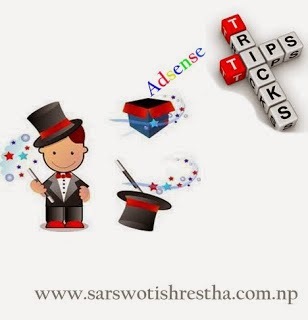 Well it is not so simple to earn from Google Adsense you really need a good strategy and a lot of patience to earn money online from Google Adsense. 1. Always be concerned about what you are doing. There are many ads units that you can use in your websites provided by Adsense and among them the best ads unit is the vertical scrapers. This unit worth much higher than other units and really you can have some significant increase in your revenue by using this unit. It is the best idea to use this unit on the vertical columns, the best position is to use on the right column because most of the viewers put their eyes on the right side often. 2. Customization of the ads units is the best part to increase your revenue. This customization is allowed by Google like you can make the ads resembling with your website’s background you can change the color and make it more attractive so that the viewer find interesting to click it. You can change the colors of the link of the ads units and make it resemble with your website’s hyperlink color and also use the customization to resemble with the themes of your website is the best way to increase the number of clicks. 3. Proper application of the keywords helps the better ranking of your website, since the SEO depends on the density of the keyword so you need to have proper balance on your writings to make the keyword density good. Too much keyword density is bad and that will badly influence your website rankings. 4. Avoid clicking on your own ads units, this is the most popular mistake that most of the webmasters do. Don’t ever click on your own ads that will have bad impression on your websites and ultimately you can even be banned by Google Adsense team. 5. Creation of the Adsense channel is the best way to monitor how your ads units are holding and you get the correct information about your ads units and about their performance. They can also tell what you need to improve to maximize your Adsense revenue. So, earning from Adsense is not the matter of joke indeed you need some interesting strategy and then only you can have good time with it.